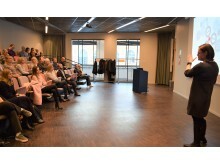 Redefining the future of Healthcare through the Vision e-Health 2025 is an inevitable process for the Life Science industry, according to Patrik Sundström, Head of e Health at The Swedish Association of Local Authorities and Regions SKL. Spinach, antibodies, virtual reality. Lots of exciting projects in the state-of-the-art facility, Testa Center, a major initiative between the Swedish Government and GE. Scaling up to the large volume and gaining a new level of knowledge bring enthusiasm and positivity among the team and the actors at the authentic industrial test-bed, Testa Center. Uppsala BIO and the real estate company Klövern have signed a three-year collaboration agreement for the further development of Uppsala Business Park located in Fyrislund, the city’s southernmost industry district. The ambition is to create a new business district for innovation and growth as part of a world-leading life science region. Small and medium-sized enterprises (SMEs) have great difficulties in finding out what is required to get their digital products into public healthcare. Patients seeking help and support have limited insight into what digital tools are available. At the same time, public healthcare is struggling to find new ways to digitalize parts of their offering. This calls for common rules and national coordination to secure a smooth introduction of digital tools into healthcare. 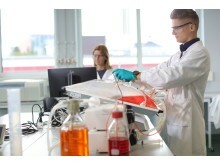 To contribute to necessary change that will lead to cutting edge digitalization of Swedish healthcare, as well as getting the most out of Swedish inventions and new products, we at Uppsala BIO have been an active part in driving this agenda forward. We were part of initiating a pilot study in 2016, which in 2017 led to the start of Ordnat införande av digitala produkter och tjänster (ordered introduction of digital products and services). This is a collaborative effort led by SKL (Sveriges Kommuner och Landsting/Swedish Association of Local Authorities and Regions) together with Region Norrbotten, Stockholm Science City and Uppsala BIO. Uppsala BIO is represented in the project team by Erik Olaisson, and by Erik Forsberg in the project steering group. The aim of the project is to facilitate the implementation and introduction of digital tools into healthcare, thereby contributing to increased growth in SMEs as well as supporting the Vision e-Health 2025. The first delivery from the project is the report Tydligare spelregler och samordning av krav – Rekommendationer till nytta för patient, vård och företag (clearer rules and coordination of claims with recommendations to the benefit of patients, healthcare and business). It describes the challenges that county councils, regions and businesses are faced with in the process of providing digital tools for patients with prescribed self-care. The project will continue into 2019 to further develop and anchor some of the proposals presented in the report. We have also proposed that this effort should become an initiative within Vision e-Health 2025, thereby being officially supported ty the Swedish government and SKL (Sveriges Kommuner och Landsting/Swedish Association of Local Authorities and Regions). 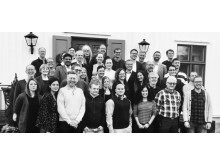 Uppsala BIO was part of initiating a pilot study in 2016, which in 2017 led to Ordnat införande av digitala produkter och tjänster (ordered introduction of digital products and services), a collaborative effort led by SKL (Sveriges Kommuner och Landsting/ Swedish Association of Local Authorities and Regions) together with Region Norrbotten, Stockholm Science City and Uppsala BIO. On 21 August, Testa Center – Sweden’s national test environment for verifying biological and technological tools used in manufacturing biologics or biopharmaceuticals – was officially inaugurated. And the first projects are ready to move in and get going! 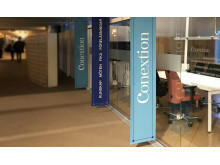 This August, we see a new and exciting addition to Uppsala`s life science business sector. Based on research by Professor Gert Auer at Karolinska Institute, NeoProteomics AB started the development of biomarkers for sensitive and risk-free cancer diagnosis by analyzing platelets role in cancer. Blood-based liquid biopsy products for cancer diagnosis are extremely patient friendly and safecompared to current tissue biopsies, and a growing market. Company focus is now to develop the first in a series of products based on proprietary platelet biomarkers. The first diagnostic product for early detection of colorectal cancer will be ready for testing next year. Uppsala offers a great environment for life science-based companies. We believe that Uppsala is a good location when you plan to develop a new life science company with growth potential and we are pleased to start our activities based in Uppsala Business Park this autumn says Torbjörn Pettersson, CEO of the company. This August, we see a new and exciting addition to Uppsala`s life science business sector. Based on research by Professor Gert Auer at Karolinska Institute, NeoProteomics AB started the development of biomarkers for sensitive and risk-free cancer diagnosis by analyzing platelets role in cancer. 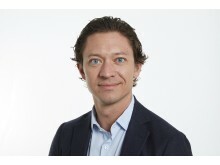 Uppsala-based life science company Cavidi is an expert in HIV monitoring. Its first commercial product was a manual test for HIV monitoring in resource-limited settings, ExaVir Load. This product was an important step in taking care closer to the HIV-infected population in the parts of the world that are most affected. Uppsala Workshop: How do we simplify the introduction of digital products in healthcare? Companies developing digital products also face a challenge: the demands made on their products and services are not always entirely clear. 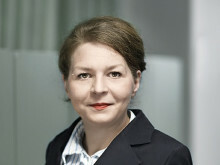 The question, therefore, is how can we simplify and improve the introduction of digital solutions? 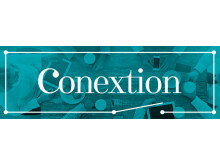 Conextion, operational since its inauguration in January 2018, involves and gathers together a large number of life sciences employees, business consultants and representatives from the public support system. To see how we best can serve these interested parties, a number of activities have been tested.